World speedway champion Greg Hancock stormed to victory in tonight’s Slovenian Grand Prix to take the fight to Britain’s Tai Woffinden in the championship chase. Hancock dropped just one point in his five qualifying heats before winning both his semi-final and the all-important final, where he finished ahead of Woffinden. It was Hancock’s 19th Grand Prix victory in a magnificent 188-race career that stretches way back to 1995. 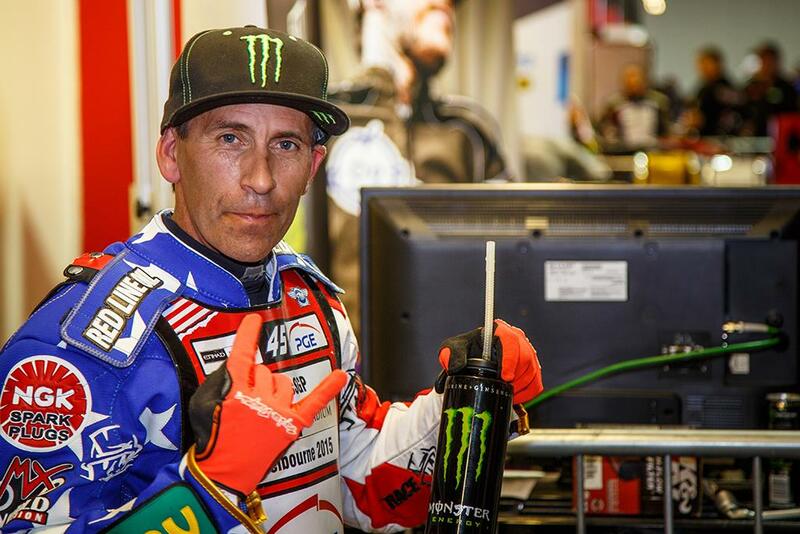 The 45-year-old American’s 20-point haul moved him ahead of Denmark’s Nicki Pedersen into second place in the title standings behind leader Woffinden. But Woffinden’s second place means he retains a firm grip on the title lead, 25 points clear of Hancock with Pedersen a further four points back in third. Woffinden was in imperious form in his qualifying heats and semi-final. He twice recovered from poor starts to move through from last place to win races, on both occasions passing Pedersen in the process. The Brit seemed to have the speed to pass everyone except Hancock, who was in a different class and made an exemplary start in the final to stay clear of Woffinden, who is 20 years his younger. With three rounds left in the championship Woffinden could wrap up the title before the series reaches its October finale in Melbourne, as the most points available in a single GP is 21. Woffinden’s fellow Brit Chris Harris had a disappointing night and remains 13th in the standings. But being five places and 29 points short of the top eight place needed for automatic qualification for the 2016 series won’t worry Harris. The Cornishman finished third in an external qualifier in Poland last weekend to earn a space for next year. 1. Tai Woffinden (GBR) 127, 2. Greg Hancock (USA) 102, 3. Nicki Pedersen (DEN) 98, 4. Matej Zagar (SLO) 89, 5. Niels-Kristian Iversen (DEN) 81, 6. Chris Holder (AUS) 78, 7. Jason Doyle (AUS) 77, 8. Maciej Janowski (POL) 72, 9. Michael Jepsen-Jensen (DEN) 66, 10. Peter Kildemand (DEN) 59, 11. Andreas Jonsson (SWE) 55, 12. Troy Batchelor (AUS) 49, 13. Chris Harris (GBR) 43, 14. Tomas H.Jonasson (SWE) 40, 15. Jarek Hampel (POL) 31, 16. Krzysztof Kasprzak (POL) 29, 17. Bartosz Zmarzlik (POL) 17, 18. Antonio Lindback (SWE) 14.